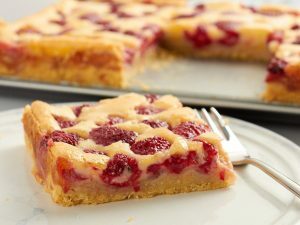 I am certain that you will just not be able to resist making this incredible raspberry and almond shortbread cookies dish at least twice a month if not less… These delightful and super simple to prepare cookies are absolutely ‘professional made’ in taste and appearance. You may replace the refined flour with whole wheat flour and home made fresh fruit jam to turn this dish a notch nutritionally better. In fact, by doing this you may turn this treat as a guilt free any time snack for your kids (and yourself)! Preheat the oven to 180 degrees C and prepare a baking tray by lining aluminum foil on it. Whisk the softened butter, powdered sugar and almond extract in a bowl until creamy and fluffy in texture. Add the flour to it and beat again until mixed well. You may add little milk to the dough, if required to combine all the ingredients together in a soft dough. Cover the dough with cling film and chill the dough in the freezer for about 10 minutes. Now, shape the dough in to 1 inch wide ball and place the balls on the aluminum foil lined baking tray at least 1to 2 inches apart from each other. Make a depression or well in the center of the cookie dough balls using the pressure of your thumb. 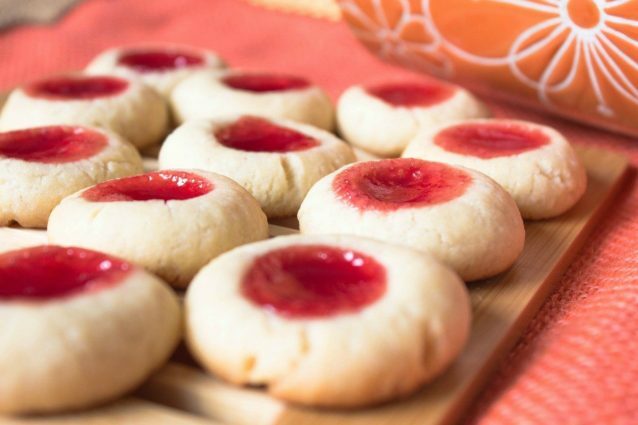 Fill each depression in the cookie dough evenly with the raspberry jam. 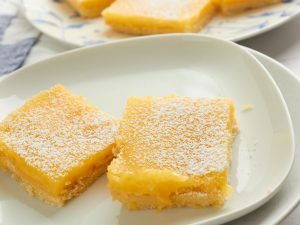 Bake the shortbread cookies in an oven for about 10 to 12 minutes at 180 degrees C or until the cookie edges are light brown in color. Let it cool a little and enjoy! Instead of lining with aluminum foil you may alternatively line the baking tray with butter paper or grease with about ½ teaspoon of vegetable oil. You may also use an electric blender to blend the ingredients instead of using a ladle or a spatula. Do not over mix the dough mixture. Make sure you freeze the dough long enough for it to become hard enough to easily handle. You may frost the cookies by glazing the baked and cooled cookies with a mixture of 1½ teaspoons icing sugar, ¼ teaspoon almond extract, and 2 teaspoons of water. Mix all the ingredients well until no lumps are present and the mixture is well combined. Drizzle it randomly over the cookies and enjoy! Store the cooled cookies in an air tight container and you may enjoy them even for even a week after you bake these. You may thin out the thick and lumpy jam by diluting it with a teaspoon of water. Mix it until the jam turns smooth and no lumps are present.